The photo challenge posted last Friday, Fray, make me think about your garden, again. 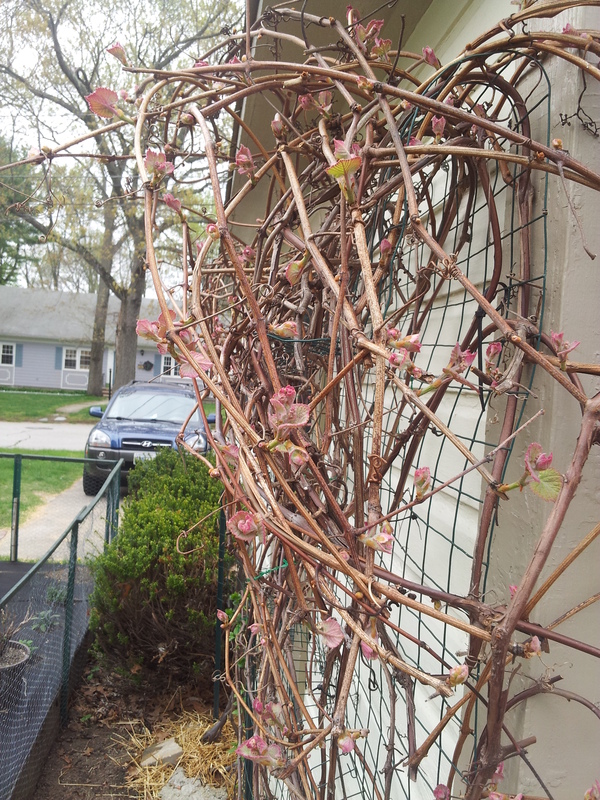 A picture from the beginning of the growing season shows the grapevines as they snaked their way along the garage. The second shot shows full, lush leaves that crawl well beyond the frame holding them up now that several months have passed. 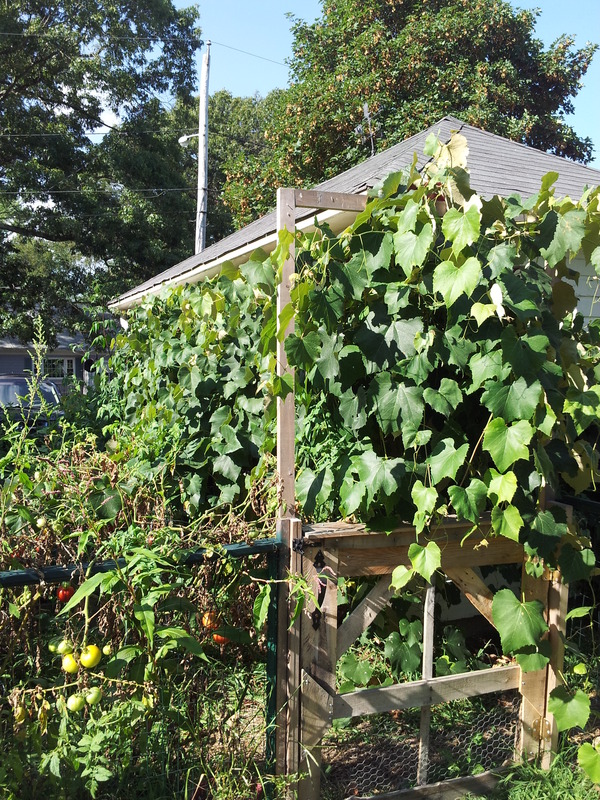 We have to duck under the green canopy to get to the tomatoes and the squash! We’ve been reaping the benefits of all that’s been growing and continue to “enter the fray”, every day.